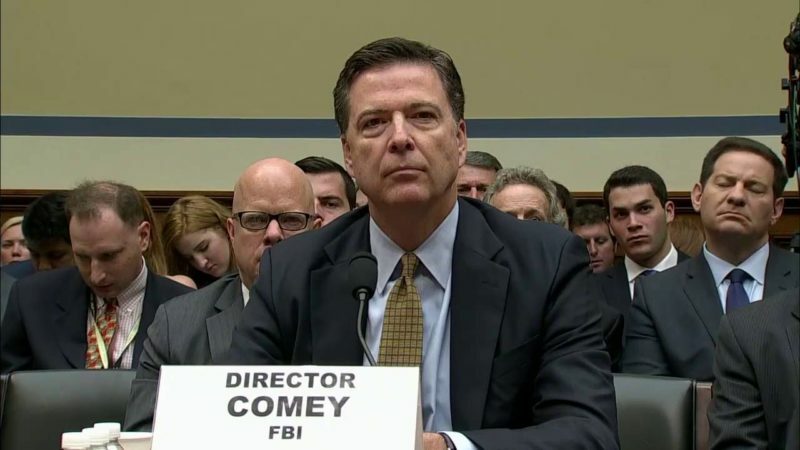 FBI Director James Comey is testifying before Congress today, with the expectation that he will speak about two issues. First, he will discuss the potential collusion between the Russian government and the Trump campaign. Second, he will talk about the allegations of wiretapping by Barack Obama of Trump Tower. And the hearing before the House Intelligence Committee is officially underway. Shortly after 10:00 am, Comey was sworn in. He did, however, clarify that there could have been other surveillance of Trump Tower. Democrat Adam Schiff said that it is indisputed that the Russian government was behind the WikiLeaks hack of the Democratic National Convention and of the Clinton campaign. Schiff on what he said is most important q we don't have answer to: "We do not yet know whether the Russians had the help of US citizens." Schiff’s source? The “dossier” Buzzfeed published from British spy Christopher Steele, with journalists alleging that this meant United States intelligence backed it up. Schiff also asked if it was a “coincidence” that Jeff Sessions saw a Russian ambassador when he was a senator. Key but inconclusive point from Schiff: it is possible these events are unrelated, possible they're not. "We simply don't know." NSA Director Admiral Michael Rogers stood by their intelligence on Russia, however, and made sure to tell the committee that the NSA will protect Americans’ privacy. Adm Rogers on intel assessment into Russia released in January "We stand by it as issued"
NSA's Adm. Rogers taking a moment to defend NSA protection of Americans' privacy. Shortly after 10:30 am, Comey confirmed that the FBI is investigating ties between the Trump campaign and the Russian government.